Here in Suffolk, we’re lucky enough to be spoilt with a glorious coastline. The many beaches range from shingle shores to golden sands and are enjoyed by walkers, surfers, relaxers and people from all walks of life. Let’s face it, a family holiday can be a costly exercise and it doesn’t just stop when you’ve found somewhere to stay. Days out, feeding everyone and treats along the way all add up. As the days become warmer and longer, summer is now truly in the air. May and June see the beginnings of Suffolk's festivals, country fairs and carnivals. Felixstowe Book Festival has become one of the highlights of the East Anglian Arts Calendar and returns with another exciting programme of events from 27 June to 1 July 2018. What Not to Miss… Great Reasons to Visit Suffolk this Spring and Summer. Walking is an escape for many, exercise for others and an enjoyable hobby for all. As you stroll through nature, you can enjoy what money can’t buy, woodland, beaches and rolling fields. With this week seeing World Book Day, we thought we’d celebrate all things literary and look at Suffolk’s exciting literary and book festivals scheduled for 2018. Easter is a beautiful time of year in Suffolk. The days begin to get longer and warmer, our countryside is full of new life with lambing season in full swing, and seas of daffodils are all around our luscious landscapes. Your property information folder is key to ensuring a customer’s holiday starts off on the right foot. You will have been asked to produce a Property Information Folder (PIF) when your property was first recruited. Carnivals, Festivals, Fairs and Fun! With a new year comes new and exciting events. 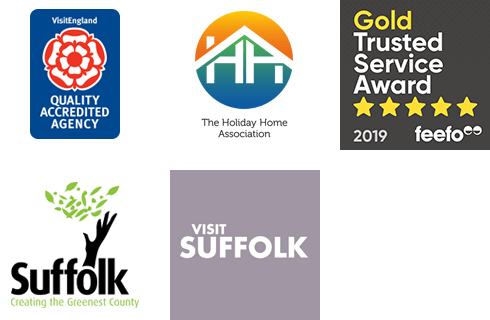 Here in Suffolk, we are spoilt for choice with an abundance of wonderful things to do from music festivals to village fetes.